LEWCO Pallet Management and Robotic Interface - LEWCO Inc. 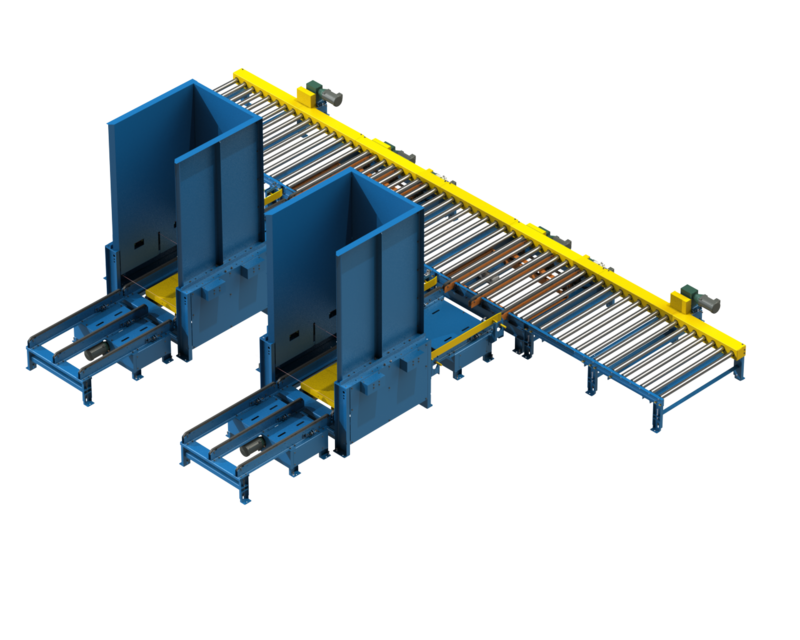 Recently a customer requested pallet handling conveyor for their (2) robotic palletizers. For flexibility and to maximize robot up-time, LEWCO built (2) pallet dispensers that could feed either of the two robots. To create a buffer queue for stacks of empty pallets, a chain conveyor was placed in front of each pallet dispenser. Floor space was tight, so LEWCO engineers worked closely with the customer to ensure the system fit within the available area. LEWCO Engineering was able to reduce the footprint of our rear load Pallet De-stacker, and build the conveyors to feed it. The LEWCO Integrator supplied their own pallet locators, funnels, and stack squaring devices for the final installation. Using LEWCO Professional Grade Pallet Handling Chain Conveyor, Pallet De-stackers, Chain Driven Live Roller conveyors, and Chain Transfers allowed the Integrator to focus on their core competency of Building and Programming the Robotic Palletizers.